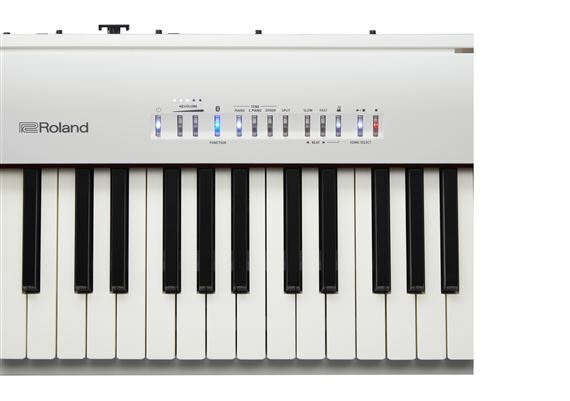 Exclusive 12, 8, 5 or 3 Easy Payments ⚡ Roland FP30BK Digital Stage Piano only at AMS! Free 2 Day Shipping ⚡ Free Extended Warranty ⚡ Call our Gear Experts at 800-319-9043 for expert advice! Fulfill your dream of owning a high end Roland piano! The affordable FP-30 offers Roland’s acclaimed sound, feel, and modern features in a top-quality 88-note instrument that fits any space with ease. The FP-30’s exceptional performance easily outshines other instruments in its class. Roland’s unrivaled sound and feel deliver an authentic piano experience for maximum expression, providing a solid foundation for proper learning and the detailed articulation and response that experienced players demand. Supporting the FP-30’s advanced SuperNATURAL Piano engine is a powerful onboard sound system, along with a newly developed keyboard that inherits the touch, escapement, and Ivory Feel keys found in other Roland high-end home pianos. This is all anyone anywhere needs whether Your aProfessional, Intermidiate, or just like to have the Best of everything! This piano shines brighter, plays better, sounds divine, than anything anywhere currently on the Market! Including Yamaha P-45, P-125, Kawai, they did there homework and robes earache on this one! I'm a novice adult piano student and have not played many pianos aside from old, out of tune acoustic pianos in family and friends houses. After a lot of research I chose the FP-30 because of the keys being weighted progressively and the Roland SuperNatural sound. So far I've been very impressed and inspired by this piano to sit and practice every day no matter how terrible I am! (ha) I hope I can learn enough in the next few years so I can teach my toddler how to play too. AMS shipped this very quickly and the installments put it well within reach. Overall, extremely satisfied! Well worth the money. I love this keyboard. I needed a light weight/88-key board with MIDI capabilities. 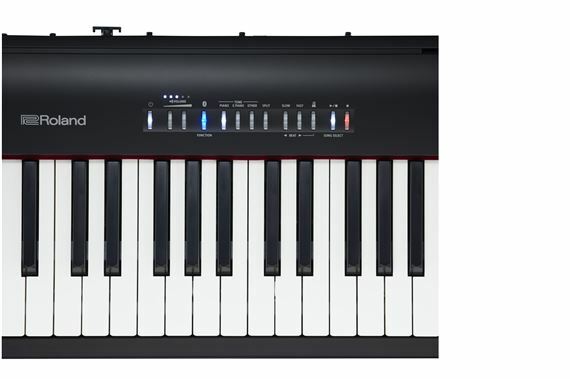 Likewise,I needed a keyboard that could be utilized for small gigs as well as on a stage or in a concert setting. 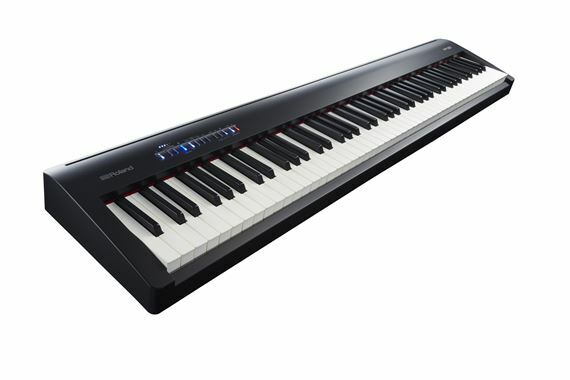 The Roland FP30BK is worth the price and performs well beyond its specs. Great keyboard for a reasonable price. Got this as a Christmas present for my 15-year-old daughter. I think it will keep her very busy for a very long time. She wanted to graduate from a cheap keyboard and wanted a more "piano" feel and action. This is that and so much more. So many features, without a lot of hokey stuff she'll never use. I can't think of a single bad thing to say about the FB30! The FB30 is great all around. It a solid 88-key piano. The price is great for the features and quality. I would recommend it for the beginner or experienced player. 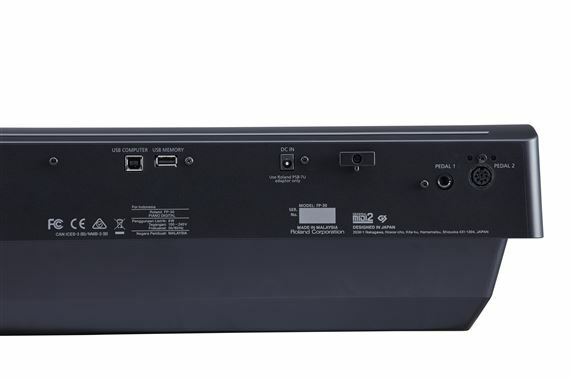 One small nit: I wish there were outputs for speakers in the back of the piano with a single headphone jack in the front rather than the dual (1/4" and mini) headphone jacks in the front. As is, it works fine but I have to wrap and tape the cables around the underside to keep them out of the way. I also bought the Roland KS PC2 2-tier keyboard stand for it. I have mixed feelings about it but it is worth at least a solid 3 stars. It can be a bit wobbly but that may have more to do with my set up than the stand. Otherwise I'm happy with it too. 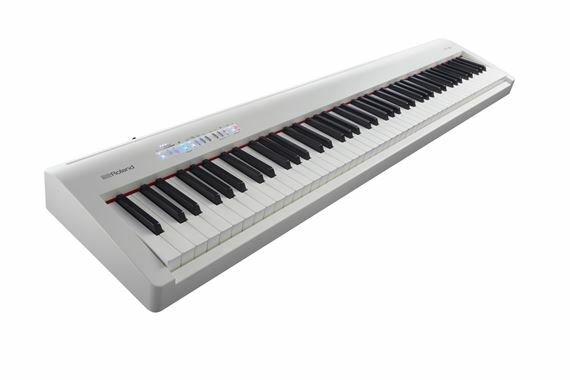 For an entry level electric piano, this piano offers a lot of features, and sounds good. Very satisfied with this purchase. As awesome as I hoped it would be. First of all kudos to AMS for the free 1 day delivery on an item of this size! I had done a lot of research before placing this order. I was looking for an 88 key digital piano in the $500-$800 range that offered realistic acoustic piano feel/action and sound. I was able to play a few in my price range to get a baseline of what my personal preferences are. In this price range it comes down to compromise, no single piano will have all features that appeal to all people. I settled on the FP30 for the following reasons: weighted key feel with escapement and adjustable sensitivity with less noise from the keybed mechanism; realistic piano sound; convincing ivory and ebony key surfaces; the down firing speakers sound fuller than some others I've heard; nice assortment of additional sounds. 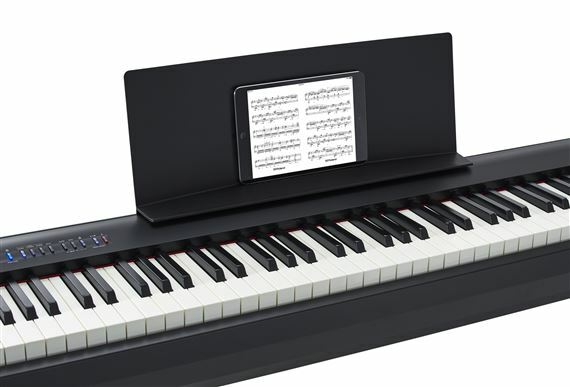 I have not tried the Bluetooth connectivity or piano apps yet. So far I am thrilled with how it sounds and plays. It's not like a real grand piano but beats many acoustic uprights I've played!